Often, even when there is a uniform heating system in the premise, it becomes necessary to provide additional heating for the specific part of the room because of its constant use and it almost does not matter whether you have another uniform heating system or you are heating the premise for the first time and it is necessary only in a certain area. In any case, autonomous heating sources are the most suitable for these purposes since they can be rather economical and easy in use. Heating of a workplace is the kind of heating fora limited area, where it is necessary to heat one part of the room. This term is quite broad, as it involves all the possible types of work, such as the work when a person is sitting at a desk in his office or other activities in commercial or industrial premises. Usually people spend the biggest part of the day at the working place, that is why every person needs comfortable working conditions. Also there are some cases where you need a separate heating of the workplace in your house or garage. In the first case, the local heating is suitable if the workplace is organized at a balcony or at a loggia, which are often not heated by the central system. Lately it has become quite popular to use as much territory of the premise as possible and therefore designers or owners place the work desks and office equipment in the small spaces in order to provide maximum compactness. Zonal heating of a workplace is also possible if you spend a lot of time in the garage repairing the car or even processing the wood. 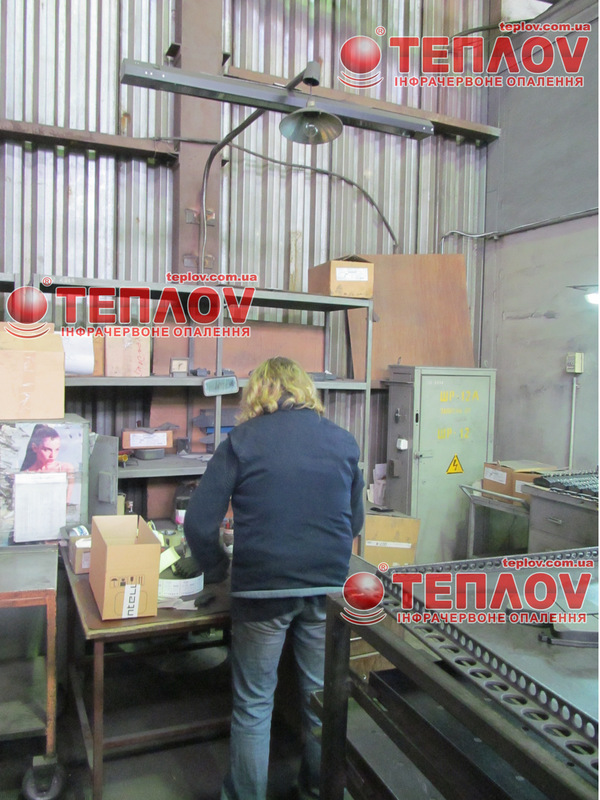 Absolutely all the activities require good working conditions, because the quality of work of the worker depends on these conditions directly. That is why the choice of the heating system for heating the workplace should be based on the highest effectiveness of the heater, taking into account the impact of it on health and the labor process. These demands are not accidental, because, for example, the oil heater that was popular some time ago will be ineffective today in the large rooms, and can cause discomfort if employees do not sit in one place. The next type, the electric convector can be both mobile or mounted on a wall. It heats the small rooms rather evenly, but it also dries the air a lot, which, in the current ecological situation, may make the health and well-being of the person even worse. In addition, if the height of the ceiling is more than3 meters ,it will be absolutely useless. You can now see people using small fan heaters, which make cold air go through them and heat it. Cheap air heaters dry air a lot and may produce an unpleasant noise and even some smell because the little parts of dust that go inside the heater with the air, start burning. The last and the most suitable option of heating the workplace is infrared heater that can most effectively and securely provide warmth and comfort in the working area. 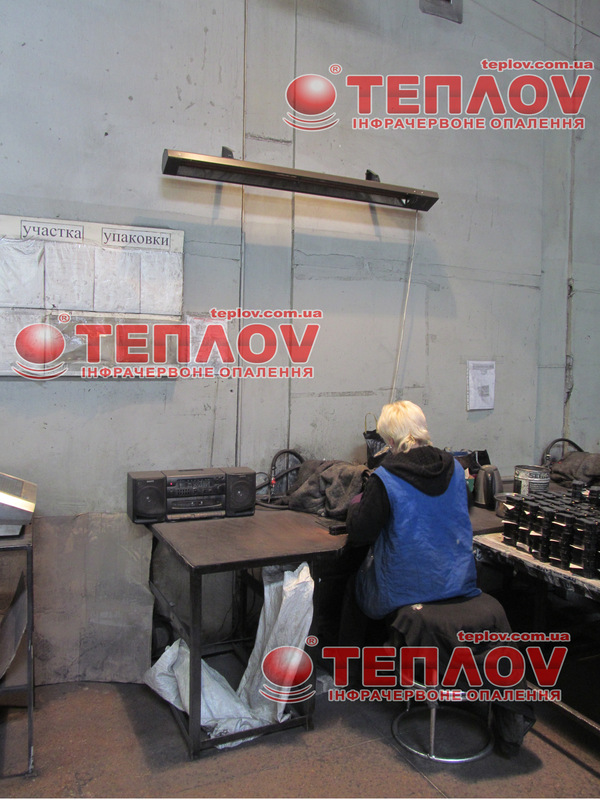 Medium-wave infrared heaters Teplov are probably the only heating system that allows to create a local or zonal heating. First of all, it should be mentioned that IR heaters do not have the problems of the other types, since they can be installed on the ceiling and the walls and are absolutely noiseless and do not produce any bad smell. In addition to these positive characteristics, it is important that the installation of the infrared heating takes not more than one day without any additional decoration works and expenses. 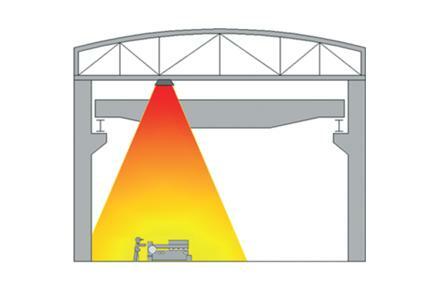 Local heating of a workplace using infrared heaters can provide the necessary working conditions, plus the coefficient of efficiency is very high ( 98%) and these heaters are rather economical.